Sometimes all you want is to end a delicious savory dinner with something nice and sweet. And thanks to the latest addition to the freezer section at Trader Joe’s, you’ll soon be able to get your hands on a dessert that will literally melt in your mouth—and won’t make your stomach hurt in the process. The healthy grocery chain has been selling mochi—a Japanese rice cake—for years. But this option isn’t just a mini, Thai black tea-flavored version of the treat; it’s also an anti-inflammatory win. 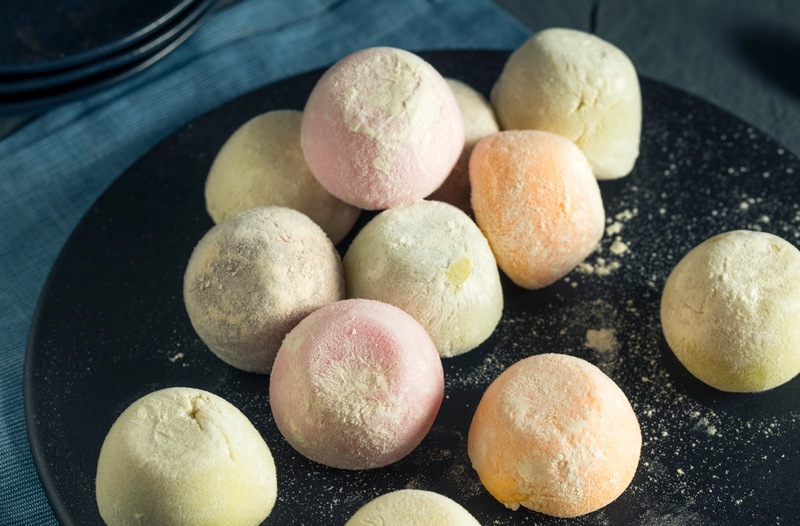 While traditional mochi is made using mochigome rice—a glutinous rice that gives it its soft and gooey texture—and has an ice cream filling, this version doesn’t contain gluten or dairy whatsoever. Despite it being a so-called “glutinous” rice, mochigome rice is actually naturally gluten-free. The problem is—like with other gluten-free staples (quinoa and oats, included)—cross-contamination can occur during production, so unless your mochi is specifically labeled as gluten-free, it might not be. Knowing this bite-size version is cleared, though, just makes it even more drool-worthy: you can enjoy its unique texture without worry. Here’s how to turn your fro-yo into a beauty-boosting dessert. Or meet the hummus that’s about to answer your healthy vegan dessert dreams.